Inspection stroboscopes for material and process inspection. 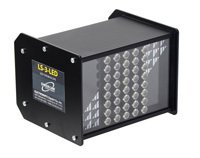 Our strobe lights are used on printing presses, slitters, rewinders, die cutters and other machinery. 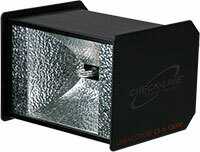 LED Inspection Stroboscope, 5 Inch Width covers web widths up to 10" / 25cm. 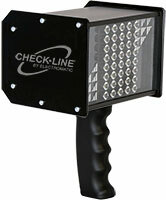 LED Inspection Stroboscope, 5 Inch Width covers web widths up to 12" (300mm) and wider. 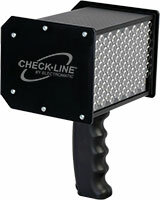 supplied with a DIN connector for direct connection from CHECK-LINE LS-10 & LS-15 linear strobes.